French braid. You've seen this many times before but really don't bother much because you don't know how to do it on your own hair. You could do this as a side braid or back braid. Now, it's time to do it yourself. Let's start! 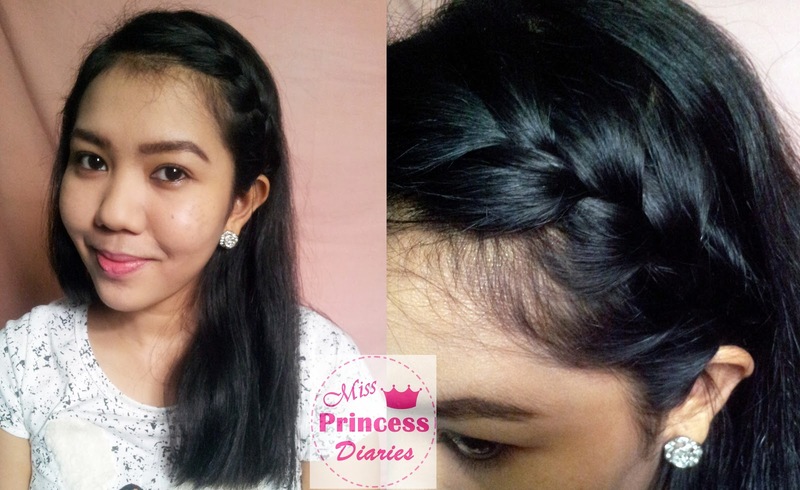 In this tutorial, I did a french side braid. Step 1. Divide your hair in 3-strands. Step 2. First, place the strand nearest you, we marked as #1 strand, OVER the center strand; #2 strand. Then, place the strand farthest you, # 3 strand, OVER the strand positioned in the center (In this case, the #1 strand). Step 4. Do this all the way down your hair. If you don't have hair to incorporate just do the braiding as you did on step 2. Dutch braid. The rule in making both of this braid is the same. 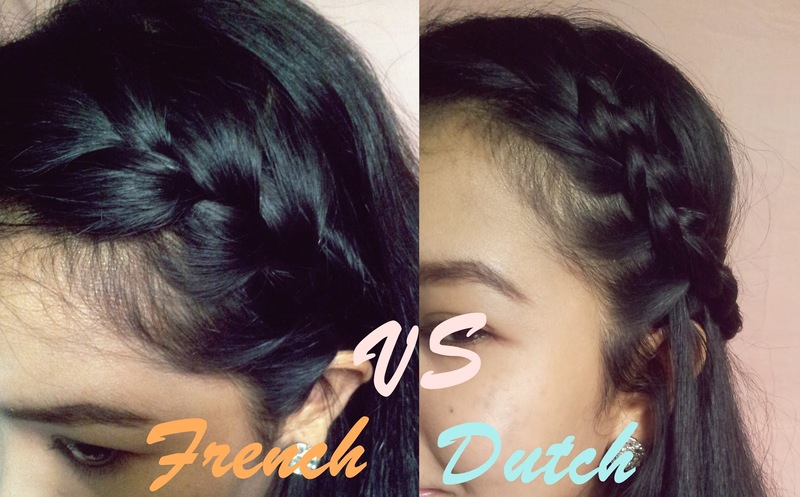 What makes dutch braid stand out literally is the actual braid, same as the french braid, was placed inside out making it more visible and attention-seeking. Let's start! 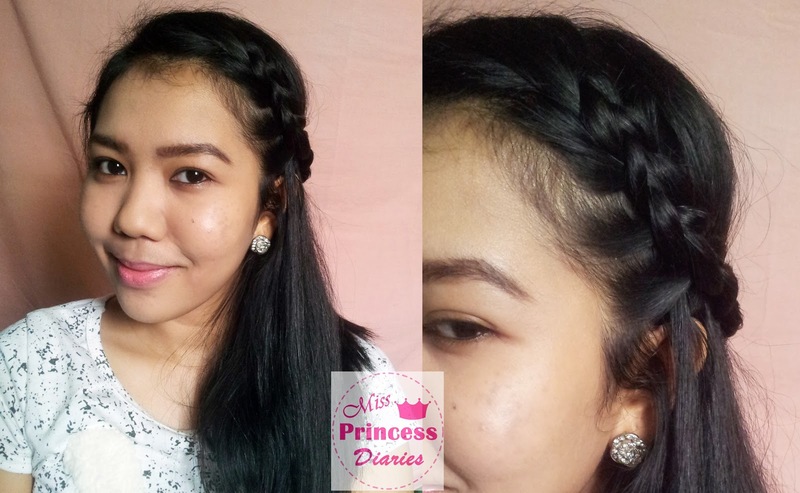 In this tutorial, I did a dutch side braid. Step 2. First, place the strand nearest you, we marked as #1 strand, UNDER the center strand; #2 strand. Then, place the strand farthest you, # 3 strand, UNDER the strand positioned in the center (In this case, the #1 strand). Remember the simple rules: On the french braid, everything was place OVER while on dutch braid, it was placed UNDER. Yes, almost the same steps but with different beautiful results. What's your favorite? French, Dutch, or both? Tell me more about it.